With 48 hour protection, the Carbon Protect Deodorant from L'Oréal Paris Men Expert releases a long-lasting intense ice fragrance. 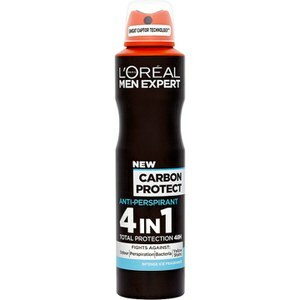 The anti-perspirant spray offers four-in-one protection, fighting against odour, perspiration, bacteria, and yellow stains. – E.W.